Today, as I finished addressing my Christmas cards I participated in my “second annual Christmas card tradition.” After enjoying this new tradition, I received a call from my four-year-old granddaughter requesting that we institute a new Christmas tradition with the family. These events from today reminded me that the holidays can be a time filled with both precious or painful memories. Treasured family traditions can warm our hearts, while dysfunctional family travesties can leave others feeling cold and empty. How then, can we build new memories and traditions that can become precious and treasured ones for those whose lives we touch? 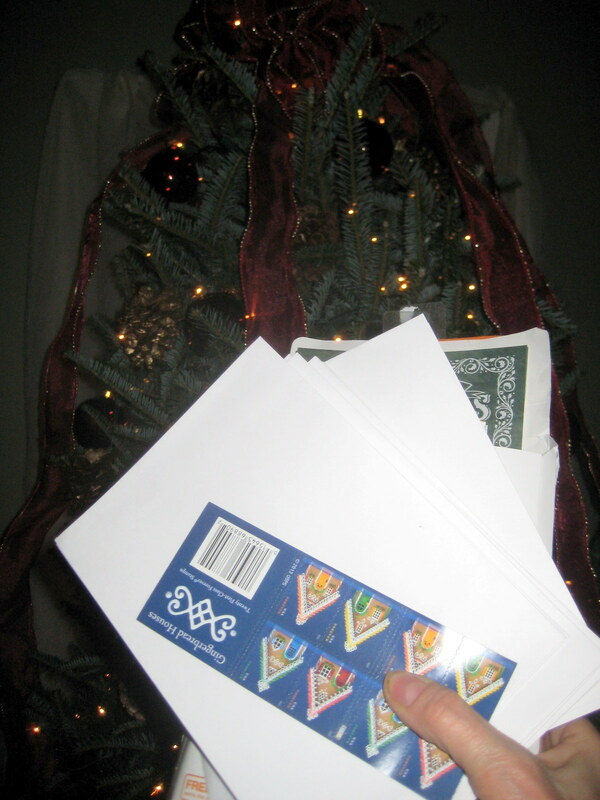 Back to the Christmas cards… I realized that addressing cards had become somewhat of a tedious and obligatory tradition that I put on myself. So, I changed one little thing that has made this practice something I look forward to. With each card I address, I remember some favorite things about the person or family for whom the card is intended. This may include special things we experienced together, or it may be something I’m thankful for about each person. Then, I pray for them. I now look forward to this little tradition. (This is simply something I have come to enjoy…and certainly not intended to cause any guilt for someone who doesn’t choose to send cards.) Years ago, when I was a teenager, I spent time with a spiritual woman who I admired – and wanted to learn from. As we talked together, she ironed – and often prayed for the person whose clothing she was ironing. Since I likely address Christmas cards more often than I iron – this seemed like a good way to incorporate a similar practice. After finishing the cards, my granddaughter called me to request that when we have our Christmas cake this year (a red and green velvet cake – another tradition) that we sing two songs. One of them is to be “Happy Birthday to Jesus,” and the other one I have not yet been told. She then wants to release balloons for Jesus. So, it seems that this will become a new tradition. Thanks for the suggestion, Lexi. The holidays are a time to celebrate friends and family, and a time to hold to precious memories. Sometimes incorporating little nuances of celebration can enhance our holiday times with deeper meaning that will more likely leave precious memories with our children, and children’s children. These activities can also turn stress producing habits into meaningful, peace bringing memories. Think of ways you can add precious memories and treasured, meaningful traditions to this time of year for you and yours. Please feel free to comment about ways you celebrate precious memories – as well as special traditions you practice. I’d love to gather them and share them. And meanwhile, have a spiritual and meaningful time with family and friends. I’d like to leave you with words to an old, but beloved hymn by J.B.F. Wright. This entry was posted in devotional thoughts and tagged addressing Christmas cards, Christmas traditions, precious memories, remembering friends by jeanieshaw. Bookmark the permalink.